Like I mentioned last week, I scooped up several pieces during the J.Crew Factory online 50% off sale. 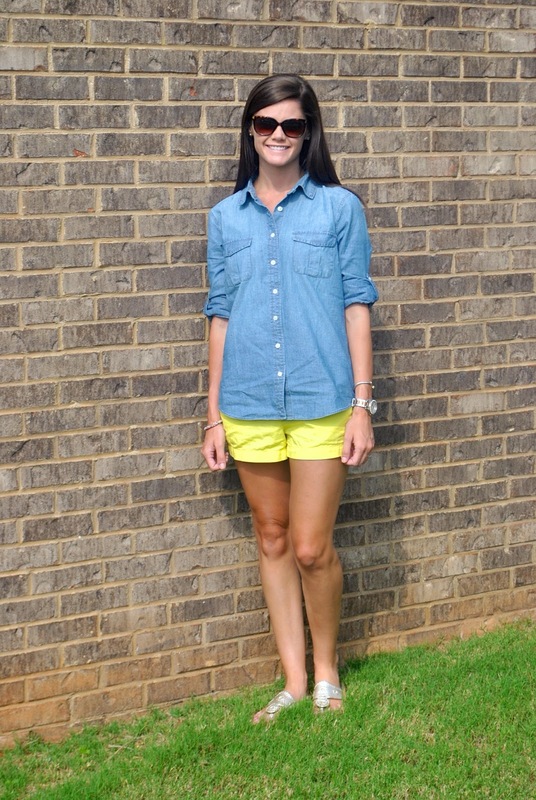 I love the versatility of this chambray top and know I will be able to wear it a lot. Love, love, love the chambray top! And the pairing with the colored shorts. J.crew is becoming one of my favorite stores! Love this outfit, super simple but fun! That top fits you really well too, I always have a problem with my chambray tops being too loose and boxy, but this one has a great shape. I wish I would have scooped it up during the sale! You are just too cute. 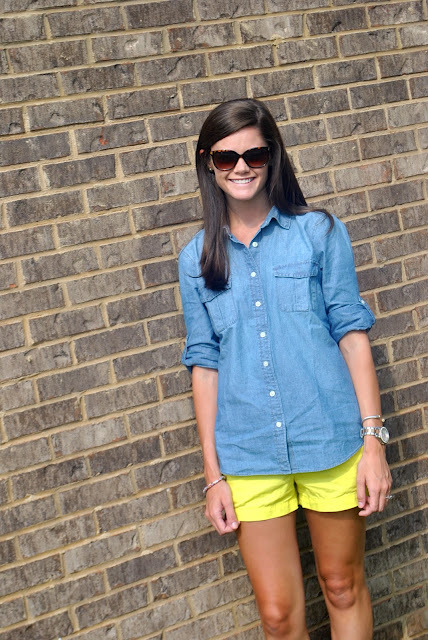 Love my chambray shirt too! Love the outfit!! That chambray shirt is so comfy! good selections!! did you know that with a teacher's discount you can get 15% off at j.crew?! Love that shirt! I've been looking for a good chambray shirt and haven't found one that I like yet, but that's adorable! !